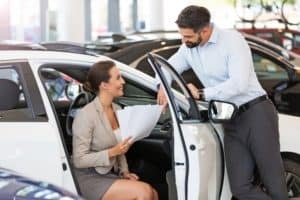 Making your next car a Certified car is a great choice for car shoppers around Arlington, Dallas, and Fort Worth. However, there are a few important steps that go into the exciting process of buying a Certified car. To help shoppers have an enjoyable and successful car-buying process, we at BMW of Arlington have created this helpful resource library. Below, you’ll find detailed information about each step of the Certified-car-buying process. Read ahead to learn more about budgeting, the selection and research process, and much more! The first thing you need to establish after deciding to buy a Certified car is a budget. Knowing how much you can afford to spend before you start looking at vehicles can help you stay on target. It’ll also help you explore your financing options a bit, so you can find a payment plan that fits your needs. After establishing a workable budget, it’s time to have some fun with a next-car wish list. Make as detailed a wish list as you can, with everything from how many cylinders you want in your engine to what kind of seating surfaces you want. Armed with a solid budget and wish list, you can start looking into Certified vehicles available near you. This can include both Certified car dealerships, dealerships with Certified cars, and even private sellers. Be sure to look into the seller a bit, as well as the vehicles you’re considering. Once you have a vehicle or a few that you’re seriously considering, it’s time to do some research into the specifics. Look at how many miles are on the car. Review the CARFAX® and other vehicle history reports. Go over possible warranties that come with the vehicle. All of these are good things to keep in mind when making your final decision. You can’t know for sure if a vehicle is the one for you until you take a test drive. A vehicle may seem like the perfect fit for you on paper until you get behind the wheel. This also gives you a chance to see all the features up close and ensure that the vehicle has everything you want. After you’ve taken a few test drives, it’s time to make your decision. At this point, there should be a clear winner. However, if there isn’t, you can always compare each vehicle side-by-side, so you get a clear understanding of which model comes out on top. The final step in the Certified-car-buying process is making a deal. 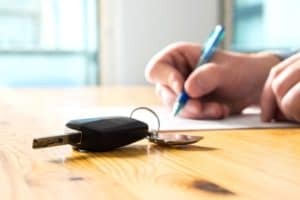 This step involves meeting with the seller or sales team to finalize paperwork, sign your name, and make the vehicle yours. 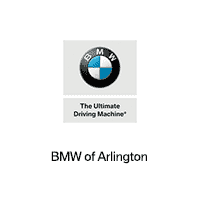 When you go through this process with us at BMW of Arlington, you can count on having all the personalized help you need, to have a smooth and enjoyable buying experience. Shoppers in the Arlington, Dallas, and Fort Worth areas who want to get the ball rolling on finding their next Certified car should give us a call today!